An interesting report from Andy Maloney battling at the front of the Standard Laser fleet at the 2013 Oceanbridge Sail Auckland regatta run by Akarana YC. 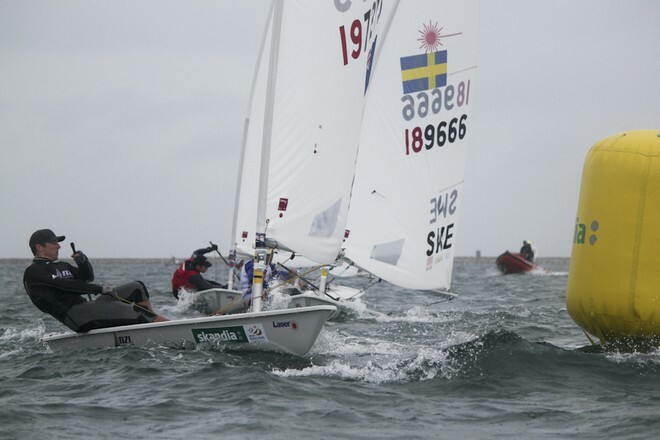 A great result for Sam Meech to wind the Open Lasers at Sail Sydney, holding off world #1 Austraia's Tom Burton. With Andy Maloney 5th and Thomas Saunders 8th. Another standout performance was Alexandra Maloney and Molly Meech who one the 49erFX skiff at both Sail Melbourne and Sail Sydney. The 49erFX is the new womens skiff for the Brazil Olympics. All NZL Laser results from both regattas below. The report from the IC333 - ILCA World Council Meeting Summary November 17-18, 2012 can be read here. See attached Minutes of the 2012 NZ Laser Association AGM. Thanks to all those who attended and to new comittee members Sam Meech, Andy Maloney, Ken Atchison and Mike Keeton. The past season has again been successful for the class both locally and internationally. From a successful Nationals at Worser Bay, excellent results for our open sailors on the world stage, an extremely successful Masters Worlds for our sailors in Brisbane to the amazing coverage from the Olympics it has been an interesting season. Congratulations to Scott Leith for his second defence of his Apprentice Masters Radial World title and to Mark Orams (Radial Masters) and Mike Keeton (Radial Grand Masters) on their successes in Brisbane. I would also like to specifically congratulate Andrew Murdoch for his strong showing in the Olympics. There were also many outstanding performances from our other top sailors at other international regattas including, Andy Maloney and San Meech in the open divisions and Pete Thomas’s 3rd in the Radial Grand Masters. This is again a reflection of the depth of our Laser fleet. 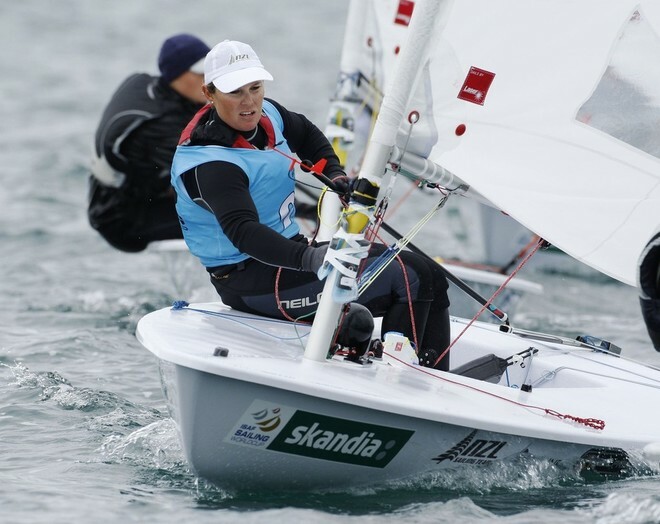 Our coaching initiatives continue and NZLA will continue to encourage and sponsor coaching this season and any club or group of Laser sailors should contact Bonnie, NZLA secretary, if they would like to arrange a coaching session. The Nationals at Worser Bay were a success, with the at times challenging conditions for which Wellington is justly renowned making for exciting sailing for all. The reach back home on the first day was one to remember. Planning for the Nationals at Napier is well advanced and we again look forward to large fleets competing in all divisions. Sail Auckland at Akarana was a success and they will again host the regatta this year. On an international organisational level the uncertainty with the class builders in the Northern Hemisphere unfortunately continues. We hope that these issues are able to be resolved satisfactorily between the class and manufacturers and the future production of the class continues world wide without disruption. There have been distributor changes in NZ but we continue to enjoy good support for the class from the dealers. We have unfortunately seen little progress with the challenges identified last year including our desire to increase the popularity of the class for women sailors at all levels and also arrest the decrease in the standard rig open fleet. We have canvassed some ideas in these areas but will continue to seek ideas to strengthen the fleet in both these areas. Financially we enjoyed another successful season and the association remains in very good financial health. I would like to thank all our committee for their input this year, with special mention of Mike Knowsley who continues to do a fantastic job in managing our website and Bonnie for her work as class secretary. We have some new members on the committee but are always keen to see new blood so please let me know if you are interested. Thanks and looking forward to seeing many of you at regattas this season. It's coming down to the wire now for our Olympic reps Sara Winther and Andrew Murdoch. They are already pretty unique - Olympic Athletes - the pinnacle of our sport. Our very best hopes and wishes for this final step in that long journey. Both Mens and Womens events follow the same calendar from first race on the 30th of July to the medal race on the 6th of August. The official Olympic Sailing site www.london2012.com/sailing. The full Olympic sailing calendar at www.london2012.com/sailing/schedule-and-results. I had the awesome opportunity to join the Oman Air team in Porto, Portugal for the 4th Act of the Extreme Sailing Series. It was a completely different type of sailing to what I have ever done before, and I learned heaps while having a great time with a good group of guys. Besides the fact that the X40 racing takes place on 40 foot catamarans (a bit different to a Laser! ), it was also raced inside the river in Porto resulting in very exciting close quarter racing. One of the awesome things about the event was the thousands of spectators that lined the river banks to watch and literally cheer the teams on, it was sailing like I had never experienced before! The team taught me so much in a short amount of time, and managed to come away with 3rd for the event. The next event is at the end of August in Cardiff, UK, and the team will be looking to improve on our performance in Porto. Here is a short video wrap up for the event in Porto, it gives you a good idea of the kind of racing that the X40's do! I have now just arrived back in Weymouth, UK, to do a week and a half of training with Andrew before he competes at the Olympics in 12 days time. I'm looking forward to the week ahead, and hope to push Andrew hard this next week and get in the best possible position to win the Gold in 2 weeks time.